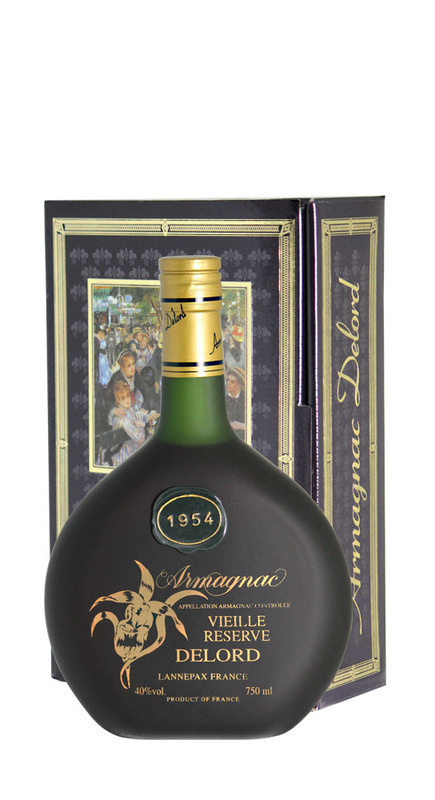 Armagnac is very aromatic, flavorful and is a treat to all the senses. It can be enjoyed at the end of the meal as a digestif, with dessert or a cigar, or even blended in many different cocktails. Situated in Bas-Armagnac, our vineyards are made up of Colombard, Ugni Blanc and Folle Blanche grape varieties. The distillery is to be found in the village of Lannepax, the ancestral home of the Delord family. The distillation, the most essential and fascinating stage in the production of Armagnac, takes place at the beginning of November through to the end of December. Our old Sier Armagnac alambics, that we wouldn't part with for all the gold in the world, produce less than 30 litres of eau-de-vie an hour. Our cellars contain our old treasured vintages and include more than 700 oak barrels that protect and age the Armagnac eau-de-vie dating from the 20th Century to the present day.